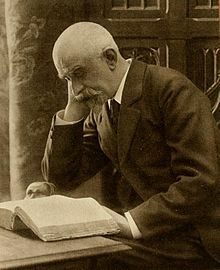 Scríbhneoir agus léirmheastóir ealaíne Francach ab ea Charles Marie Georges Huysmans, nó Joris-Karl Huysmans mar is fearr aithne air. Do rugadh é ar an 5ú lá d'Fheabhra sa bhliain 1848 i bPáras na Fraince agus do fuair sá bás ar an 12ú lá de Bhealtaine sa bhliain 1907 sa chathair chéanna. Tugadh an leathanach seo cothrom le dáta an 18 Bealtaine 2018 ag 18:10.